You may have notice that no motorcycles have been posted for a while. The reason being I am currently touring New Zealand on a holiday. Tomorrow I will attempt to post some of the bikes I have spotted in the Land of the Long White Cloud. Until then here’s a sweet W650 from the Japanese shop M&M. 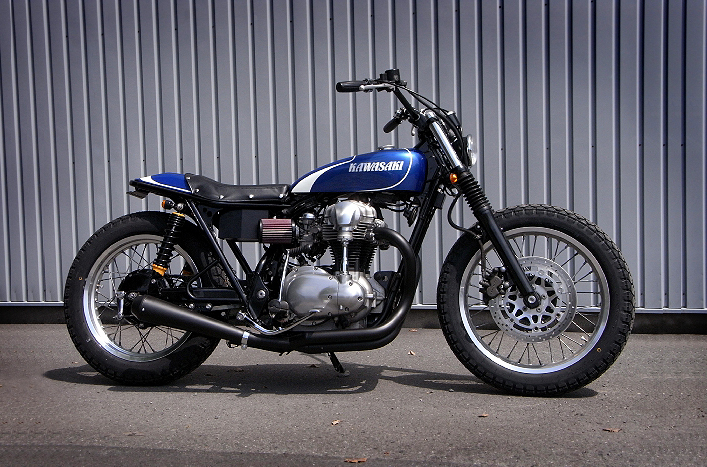 To see more of this gem and to see their Triumph Flat Tracker hit the link to the M&M blog.